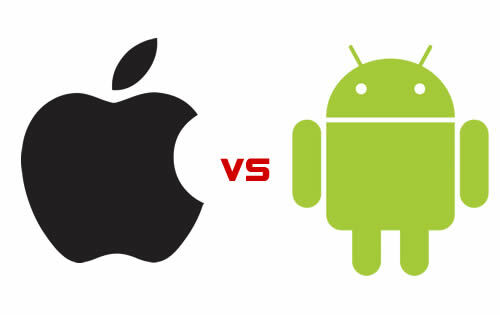 Samsung and Apple – these two brands are highly competing with each other in terms of their mobile devices and operating systems. While 2011 has served both of them good with tremendous success on its portfolio of devices, this 2012 is yet another challenging year. Who will emerge superior between the two? The Galaxy S3 is expected to carry on with the highly plastic design. It might be thinner than the Galaxy S2, which is just 0.3-inches thick. This could mean a slightly lighter weight as well. As for the screen size, we won’t be surprised if Samsung makes it about 4.6-inches, since the Galaxy Nexus and Galaxy Note both have big screens. For iPhone 5, the design is actually still a total mystery. However, some say that this upgrade of iPhone 4 will have a new form factor, sporting a curved glass display and a screen that runs from edge to edge. Whatever it will be, the iPhone has always come up with quality build and design, as well as a more expensive choice of materials. If he Galaxy S2 felt fast, the Galaxy S3 will be even faster. Rumors say that the S3 might come with a 1.4GHz quad core processor and an impressive 2GB RAM. Blazing fast and insanely powerful! On the other hand, the iPhone 5 is expected to also get a 1GHz quad core processor called the A6 processor. It might also be high time for Apple to put an upgrade to its RAM, making it 1GB. As for the memory, Samsung Galaxy S3 will most probably be offered in 16 or 32GB variants, with an expandable memory card slot that can take up to 32GB SD card. Meanwhile, it looks like Apple will be sticking with the non-expandable memory, which will give the iPhone 5 the same models in 16GB, 32GB, and 64GB versions, much like the iPhone 4S. If rumors were true, the Galaxy S3 will have a spanking 12-megapixel camera with Carl Zeiss optics. In addition, it might also have a front-facing camera that is capable of 720p HD video capture. Wow! For the iPhone 5, though, there’s nothing much to look forward to. There’s a probability that the camera will be the same as iPhone 4S, but with some enhancements on the software side to include panoramic shot mode, among others. The Galaxy S3 will run on Ice Cream Sandwich OS, which is a more user-friendly OS than the predecessors Gingerbread and Froyo. However, since ICS is already being used these days, it might be a bit outdated already by the time the S3 debuts. On the contrary, the rumored iOS 6 for the iPhone 5 holds so much promise in including iMaps, Apple’s own mapping and navigation system. As well, Siri might be even more versatile, making it more user-friendly in a lot more countries. Although Galaxy phones have received great reviews, it doesn’t have a wow factor. On the contrary, Apple always had the X-factor that makes the people go wow. If iPhone 5 will indeed carry its new facial detection system, no other smartphones could probably beat it for that matter... till we don't know when. It’s interesting to see which among all of these rumored specifications will actually come out when they are eventually released. What’s your pick – the Galaxy S3 or the iPhone 5? This article is my 53rd contribution to Manila Bulletin -- one of the Philippines' leading broadsheets -- published on February 20, 2012 (Monday) in the TechNews Section. You can view the PDF version here (upper right portion).